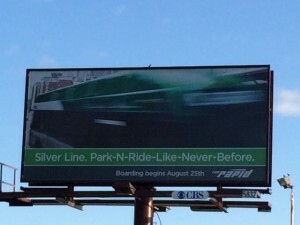 Posted August 1, 2014 by The Rapid & filed under Silver Line. 1. 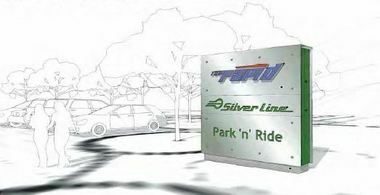 Where will the Silver Line Park ‘n’ Rides be located? 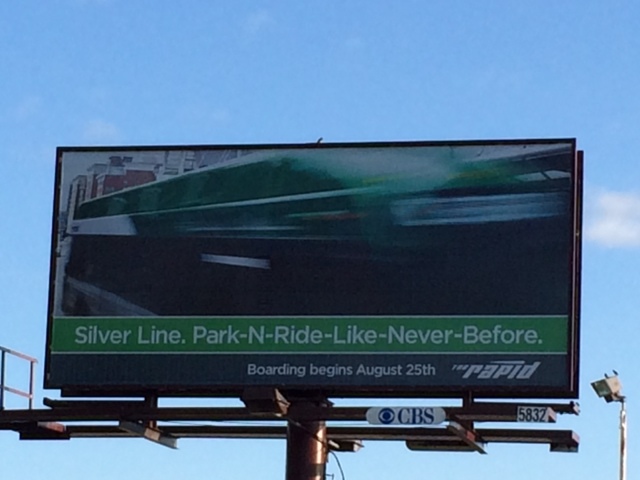 The larger, main Silver Line Park ‘n’ Ride lot will be located at 60th Street and Division. 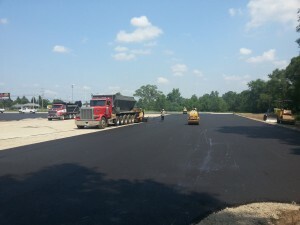 The second park ‘n’ ride lot will be located at the southeast corner of Division and Burton near the Burton Silver Line station in an existing City of Grand Rapids lot. 2. How many spaces are in each lot? The 60th Street Park ‘n’ Ride lot will have approximately 200 spaces, and the Burton Park ‘n’ Ride will initially have space for eight vehicles. There is potential to convert additional spaces in this lot based on demand. 3. How much does it cost to park? Both of the Silver Line Park ‘n’ Ride lots are free. Currently, the spaces in the Burton Park ‘n’ Ride lot are metered at a rate of 50 cents per hour. Silver Line monthly riders will be able to use them for free. The Rapid and the city’s Parking Commission are still finalizing details on the details of the Burton Silver Line lot. 3. Will Silver Line riders need some form of validation to park in these lots? There are currently no plans for validation at the 60th Street Park ‘n’ Ride lot. At the Burton park ‘n’ ride lot, there are still conversations being held to determine the best plan for validating Silver Line riders that park in the available eight spaces. 4. Can you park overnight? These lots will share the same designation as a typical MDOT park ‘n’ ride lot. Overnight parking will be allowed. However, abandoned vehicles will be towed and vehicles with For Sale signs will not be allowed. 5. Will there be more park ‘n’ ride lots in the future? Additional park ‘n’ ride lots will depend on demand. Will you use these park ‘n’ ride lots?